Many have asked me about the Eagle and the Wolf... Any continuation? Any plans to make it into a short book? Pls Hidayah, we want to read more! Suddenly Demon Wind burst into a tempest and the animals and plants stood still, afraid to breath. The tempest swirls throughout the canyon, its ferocious sound brings devastating news. O God of Heaven, Prairie Rose whispers. How can the hyena do such a thing to her own flock? 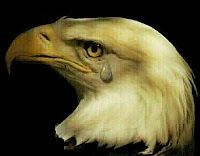 Oh how devastating for the eagle to hear the news from the hummingbird? And why is the wolf angry at the eagle for her warnings about the hyena? Doesn't the wolf know that the eagle's instinct is among the finest? Has the wolf forgotten their story, of what the eagle had done for the wolf, and of what she was willing to sacrifice for him? 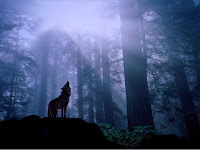 Or... Prairie Rose's petals suddenly quiver, has the wolf been playing games with the eagle all these while? Here's to many more mugs!